Sure to elicit squeals, shrieks, and many, many repeated readings. An interactive boardbook for toddlers. He’s a bit scary—maybe he wants to eat us! 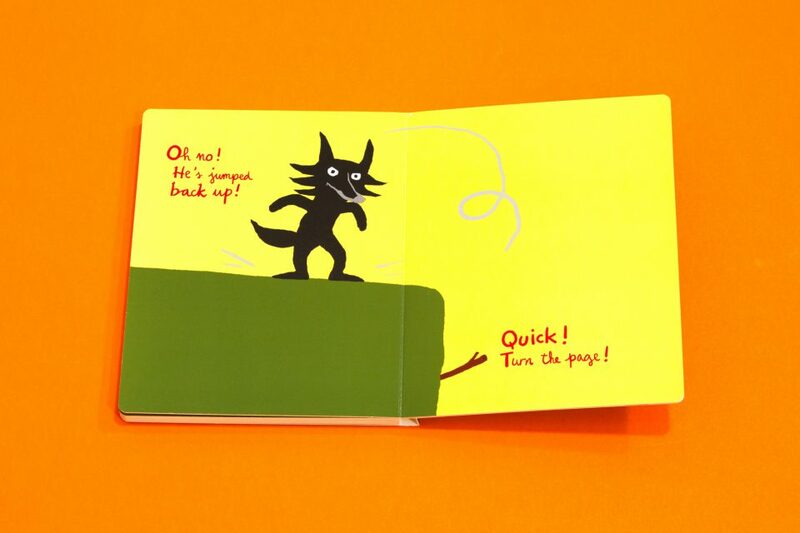 But here’s an idea: if we hold the book on a lean, maybe the wolf will slip and fall… And if he holds onto a branch, maybe we can shake the book so he drops off… Or maybe it’s enough to turn the page to make him disappear… Let’s try! The interactive element is a rush that’s sure to elicit squeals, shrieks, and many, many repeated readings. 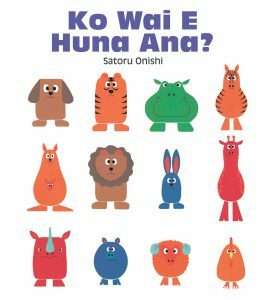 A must buy for every pre-school and recommended for primary schools, especially those where students do not have access to many books before starting school. 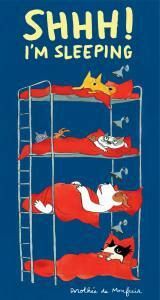 A terrific book to get children interested in reading, as well as a shared activity. Get ready for the shrieks and giggles that will accompany this brilliant book which teaches that reading is fun and following instructions is a delightful game. . Looks set to become a classic. Tests the boundaries of what it means to be a book and engage with it . This book is sizzlingly good fun to share . Delicious desire, finely tuned tension, wit, power, giggles and exhilaration are all to be found in its pages. A good introduction to reading for the littlies, ideal for a parent to sit with their child and share this page-turning adventure. We had great fun following the instructions laid out for us and much tilting, shaking and turning of pages was done. … Such an ingenious way of engaging a much younger audience and one that can’t fail to please parents and children alike. It was wonderful to see a child interacting in this way with a real book. 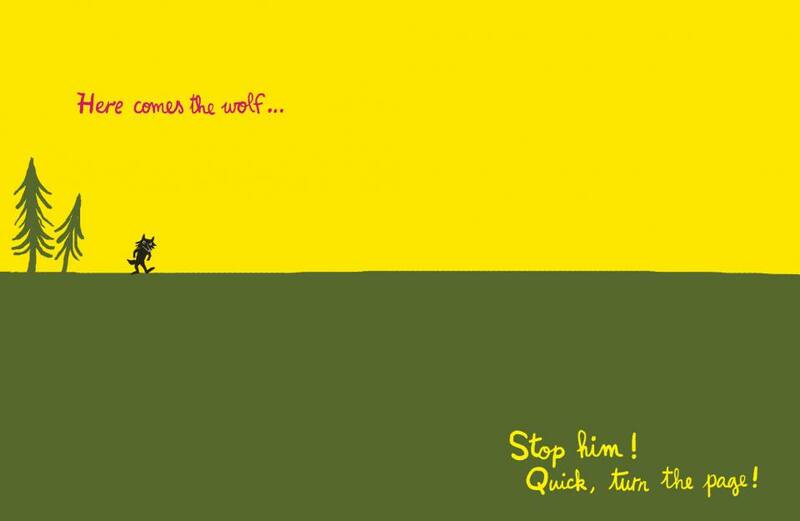 A wolf can be a bit scary – is he chasing us or does he want to catch and eat us up? I was trying hard not to laugh too much as I was reading this. An interactive pleasure that turns shared reading upsidedown and allows youngsters to enjoy having control over a scary creature. 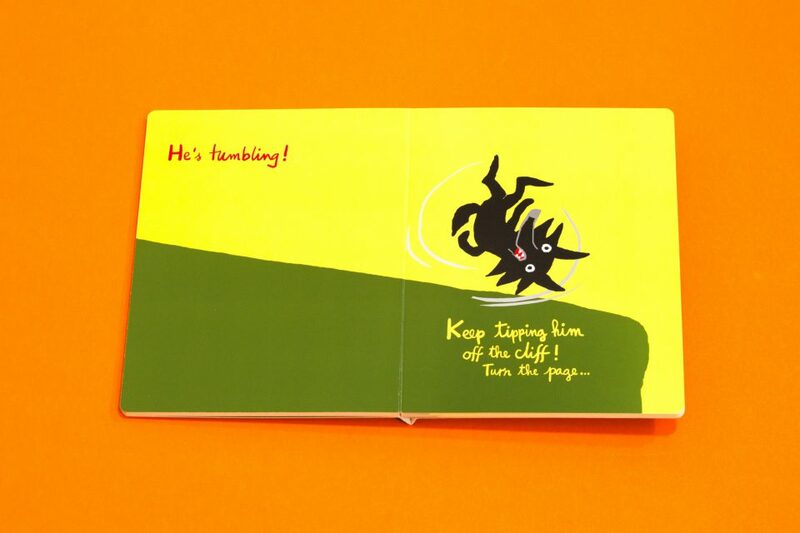 [Takes] a spare and straightforward approach to the prose and illustrations but that won’t lessen the fun kids will have tilting, turning and shaking the book as they try to tumble the approaching wolf off a cliff. 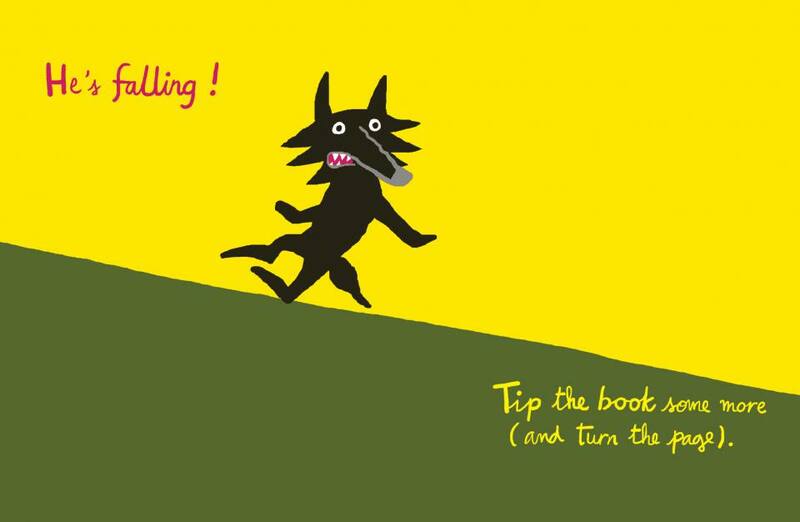 This is an interactive book – the wolf is coming, and you have to tilt the book, then shake it then slam it shut, physically. And see what happens to the wolf with every move! 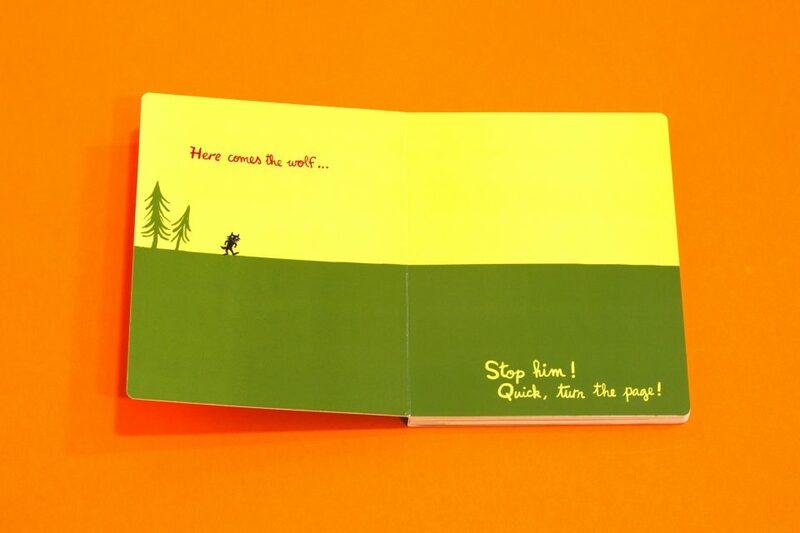 This will teach the tiny child exactly how a book works – see, when you shut the book the wolf has gone – or has he, you can open it again and take a peek – oh yes, he’s still there now! 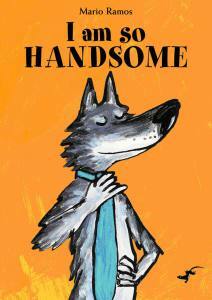 Wow what a great book to share with children, loved the interactive way the author has created this book in. In this age of online technology this book will make parents realize that books can do just as much as an iPad can do but with love as they can share it with their children. 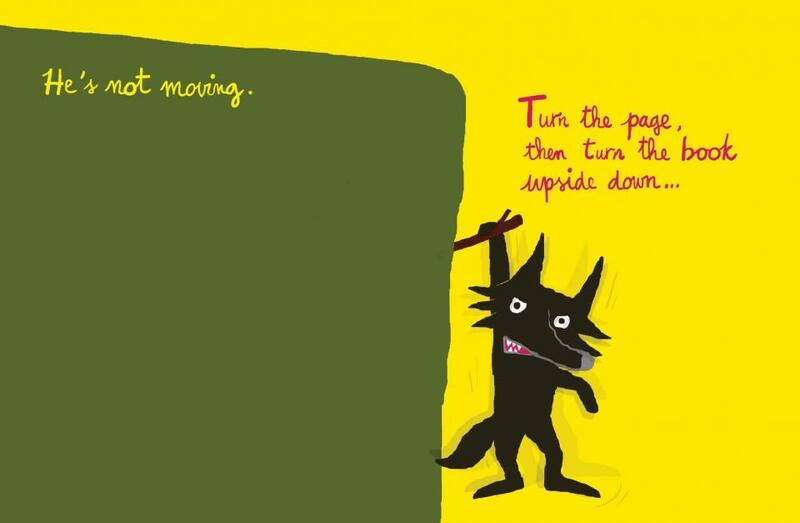 As you turn pages the wolf is tipped, shaken and made to fall. Can see children asking for this to be read over again and again. 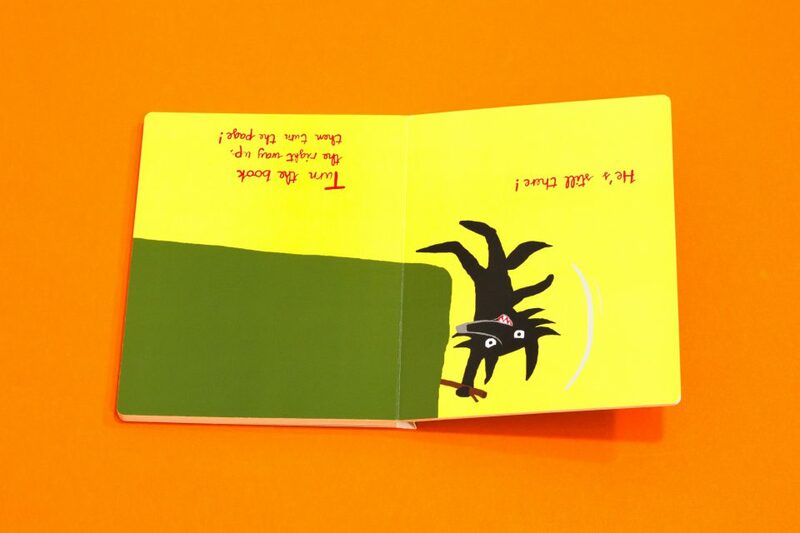 Wonderful way to teach direction and simple instructions such as ‘turn the book upside down’ . 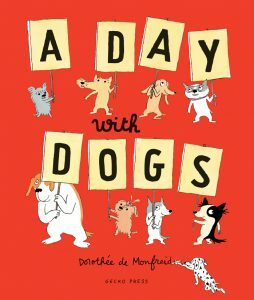 As it is a board book it will stand up to the rough treatment it will receive from little children A great book to buy a child who might not like reading.